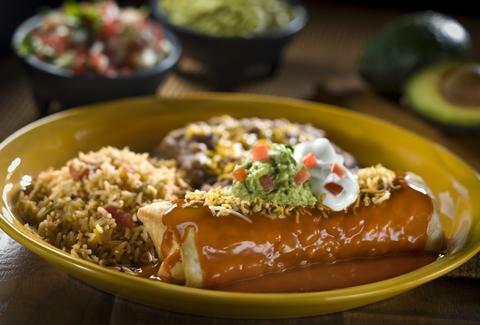 Legend has it that Macayo’s founder Woody Johnson invented the chimichanga as we know it back in 1946. And by the taste of Macayo's chimis, there seems to be some truth to that rumor. Chicken, beef, carnitas? Macayo’s serves up all three. 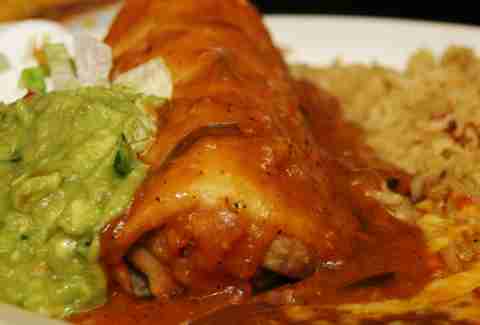 Pick your favorite and enjoy a chimi that’s drenched in family-recipe relleno sauce. Macayo’s is serious about the chimichanga and it even advocates for making the chimi Arizona’s official state food. Bring cash. El Norteño is a no-frills, cash-only, order-at-the-counter shop. And, yes, the food is worth walking across the street to the neighboring Circle K to withdraw cash. 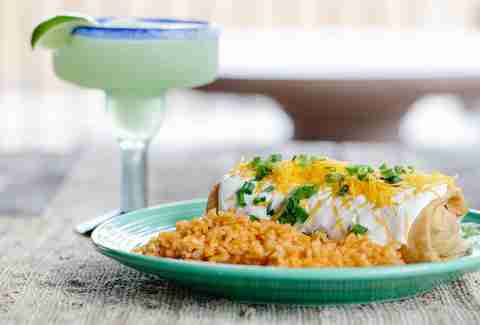 El Norteño’s chimichanga packs a punch of heat, so order a drink to tame the fire. Or don’t, if you like the burn. Someburros has more than 10 different burrito variations to choose from, and you can opt to have any one of them deep fried, red or green, bean or cheese -- you can even get the chorizo, egg, and potato Burro fried. 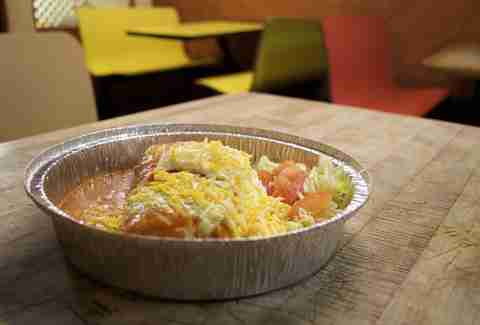 But you can’t go wrong by ordering the local favorite, the Pollo Fundido. It’s Someburros' take on the traditional chimi and it’s topped with jalapeño sour cream and served alongside rice. 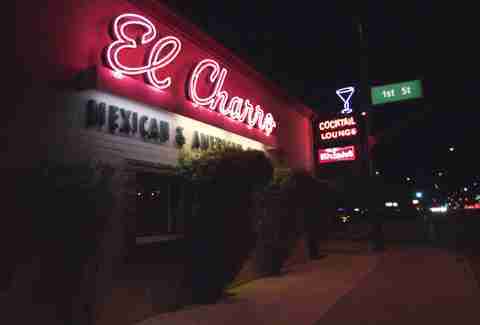 For more than 40 years, Comedor Guadalajara has been slinging authentic Mexican food in Phoenix. Whether you take your chimi with machaca beef, shredded chicken, green or red chili, or if your like it simple, with beans and cheese, Comedor Guadalajara can cook up your favorite. It's open six days a week, closed on Mondays. The original Garcia’s Las Avenidas started with with a counter for takeout orders and a few picnic tables in 1956. Over the years, the restaurant grew to into a giant chain franchise. This “original” location is the only shop that’s still family owned and operated, so if you’re looking for an “authentic” experience, this is it. The portions are huge and the prices are cheap. 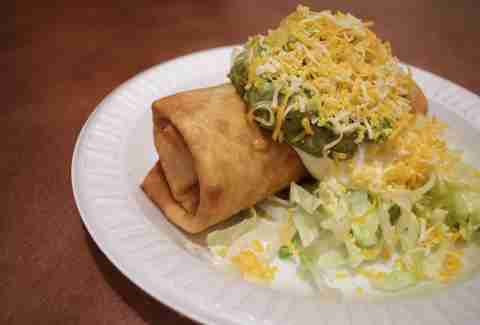 The chimichangas are loaded with sauce, guac, and sour cream. Order a Mexican soda to wash it all down. Two words. Chicken. 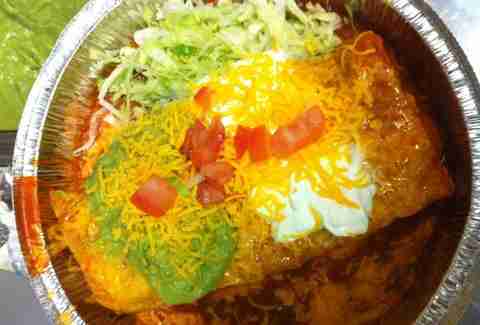 Chimichanga. There’s nothing fancy about this order-at-the counter restaurant, but the food is the real deal, after all, Los Compadres has been in The Valley for more than 56 years. The chicken chimi comes covered with cheese, guac, and sour cream. It’s served on a paper plate with plastic utensils, but it tastes so good, it doesn’t matter. Rito’s on 14th St has been a community staple since 1977. Known for its burritos and guac tacos, Rito’s serves up a pretty mean chimi, too. Recently, the restaurant expanded and opened up a new set of doors in Surprise, AZ, so check it out. Chips and salsa come with every order, that said, don’t fill up on them. 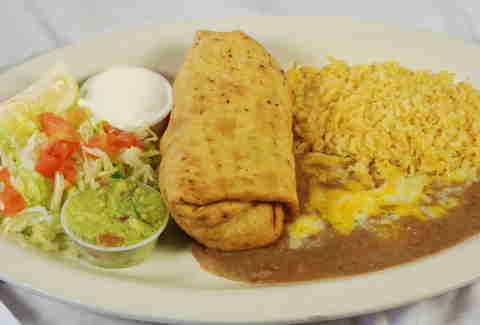 This is your warning, because when you order the chimichanga from El Charro, you’re going to need the room to finish it off. The chimis are just the right amount of crunchy and juicy, and the size, well, it's like a normal chimichanga got super angry and hulked out. There’s also a lounge with a full bar. Cervezas for everyone! 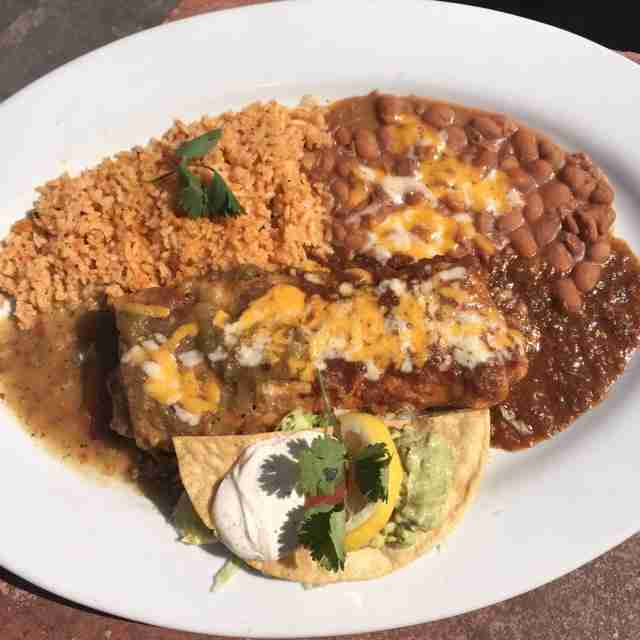 The owners of Los Dos Molinos, Chef Victoria and Chef Eddie, claim they don’t know how to make a mild sauce, so be warned, any order that lists chili as one of the ingredients is going to be hot. Really hot. But, if you’re into that sort of thing order the red or green chili chimi. It’s spicy and topped with sour cream and homemade guac.